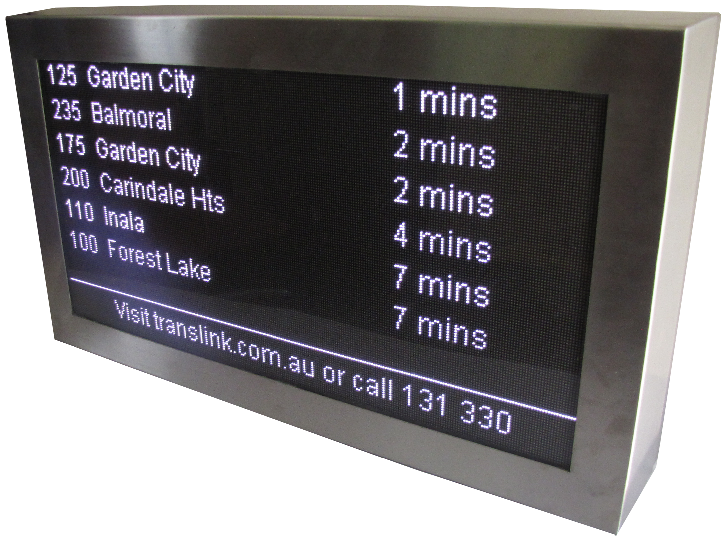 High Resolution passenger information displays with real time information & service announcements. 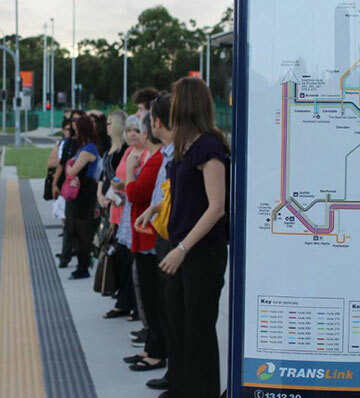 We specialise in Electronic Transport Signs with Real-Time update infrastructure. RTA passenger information signs collect real-time bus arrival information and display it in an easily readable form for waiting passengers and commuters. Using Google’s GTFS protocol we monitor the location of specific buses and compare it with the scheduled service. A calculation is made and an accurate estimation of the arrival time for the bus is determined. The information is communicated to passengers though dedicated electronic LED bus signs located throughout the bus station or stop. Designed to maximise passenger satisfaction and avoid frustration over extended wait times, accuracy & reliability were key in our design. Commuters can be confident of their next bus arrival time. A software interface enables easy access by transport operators to immediately display community announcements and service alerts in real time as required. 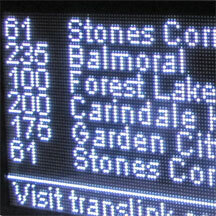 Through a centralised server information is communicated to the sign via a mobile data connection without the need for additional equipment at either the stop or on the bus. Once configured the sign will operate with no further intervention. Designed & Assembled in Queensland for Queensland conditions. 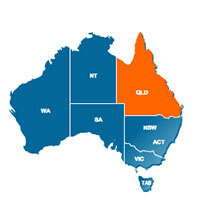 RTA Signs are custom designed & assembled in Queensland, Australia & are designed for the harsh Australian environment. We understand the high temperature, high humidity, storm environment that challenges most electronic signs. Our aim is always to build the most reliable and maintenance free sign available. That is why we custom design most aspects of our products from the highly durable housing to the software management interface. We are a small but innovative team of engineers and technicians that can offer some unique features not found in our competitor’s products. 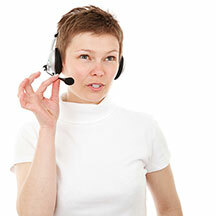 Our product range is continually being reviewed and improved based on client feedback. Security of passengers and infrastructure are important to everyone. 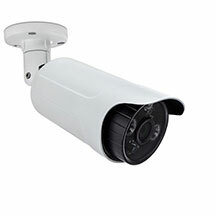 That’s why we provide optional surveillance equipment to record time lapse footage. The C-series sign offers a compact design with high resolution and excellent readability in full sun. It has been designed with current bus stop infrastructure in mind. All signs are designed and built in Qld to withstand the harsh Qld heat, humidity and fauna. With over 10 years electronic sign experience we build reliability into all our signs. Communicate service announcements in real time via the scrolling footer or a full page. 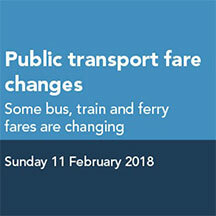 Announcements can be unique to one stop or broadcast to all signs. The B-series offers more traditional dimensions and meets current Translink specifications for larger bus stations.